I wasn’t really the girl who liked to bake or cook. 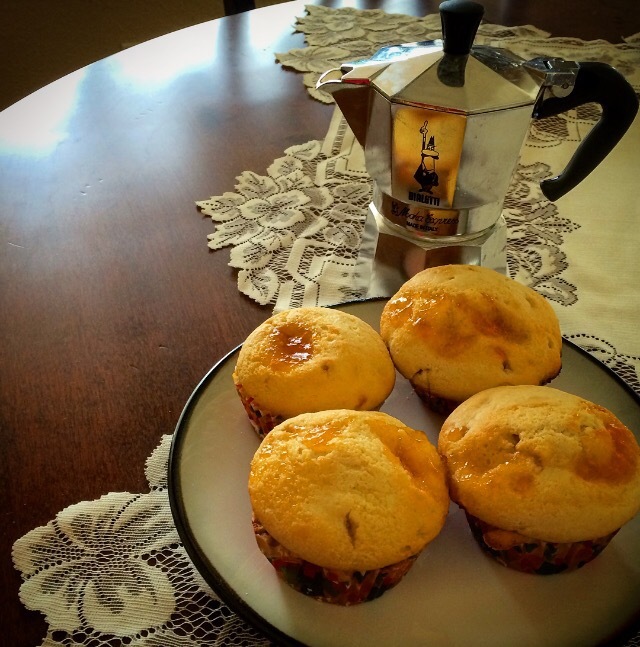 It was always so much easier to just buy muffins at the supermercato but then after living in Italy for going on five years now, something changed my mind. Maybe, it was the Italian culture, the way of life in Italy, the slow food, eating by the seasons not by the frozen food aisle at the grocery store. It could also be the influence of my Italian friends especially Deborah or Stefania, two amazing women who make everything by hand for breakfast, lunch and dinner, oh yes, and snacks as well for their family. Deborah started a group on Facebook called ……RICETTANDO INSIEME……. and if you would like to join, send a request. It is a great group, with mainly women but their are also a few men who share their recipes.. Life is busy but I think there is always time to make something at home, after all, eating at home is better and healthier than going out. I wanted to share with you a recipe for breakfast. 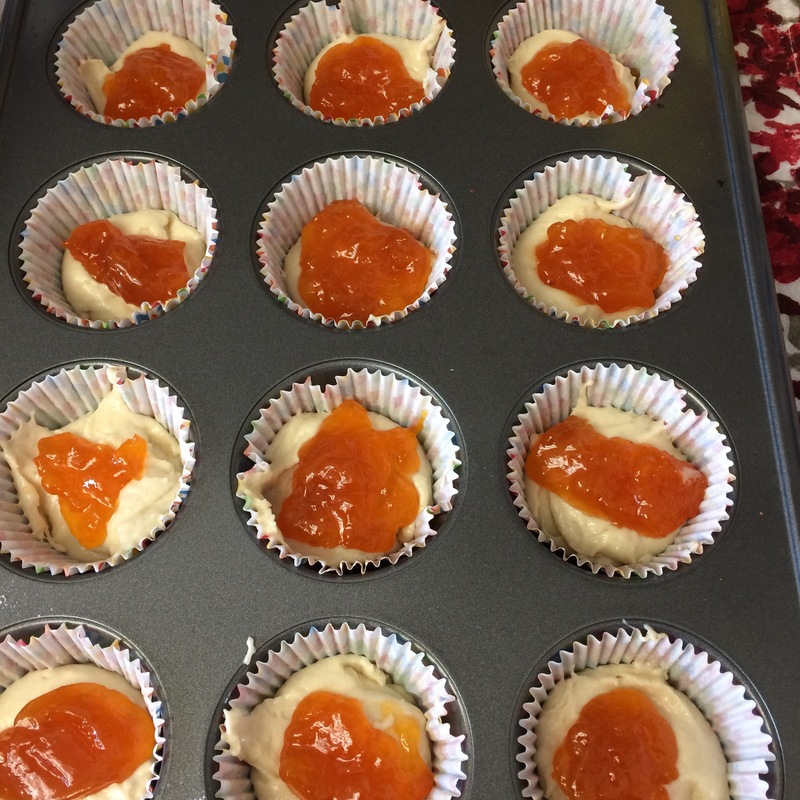 Muffins filled with fresh apricot jam. You can use any flavor of jam that you’d like. Great for that typical Italian Breakfast with un caffe or a cappuccino or a warm glass of milk. 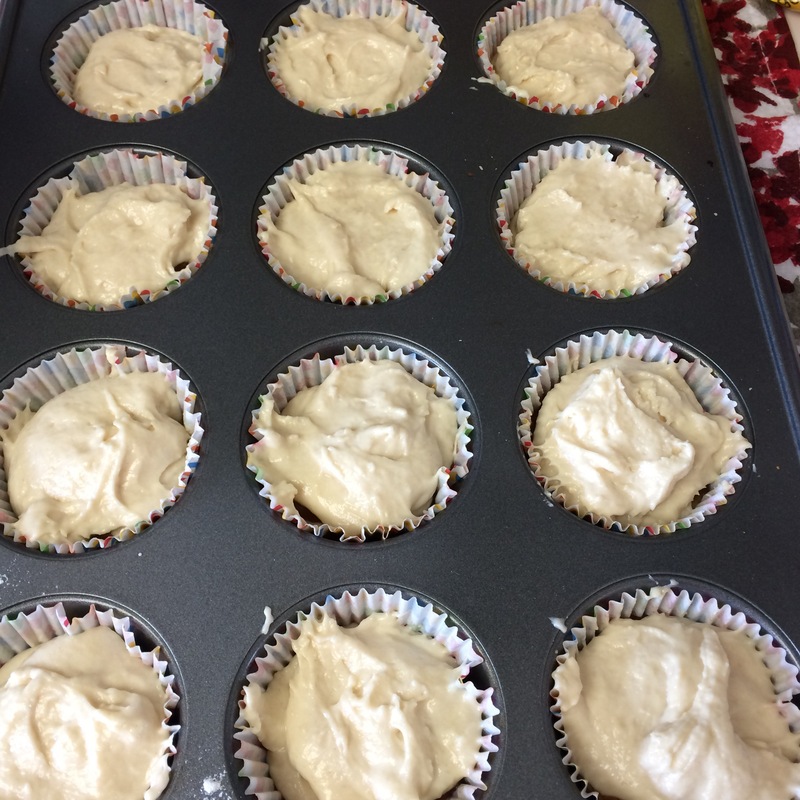 16 grams of baking powder with vanilla – this is an italian baking powder that has a flavor of vanilla, if you would like just use regular baking powder and add a drop or two of vanilla if you’d like. Jam – any flavor that you’d like. As always, a step by step photo recipe. Add the sugar and mix with a wooden spoon or an electrical mixer. And the melted butter – make sure the butter has cooled down before adding it. Add the flour and the baking powder and mix all of the ingredients together. Batter will be thick, add some extra milk if you think its too thick.. Put in the oven at 350 degrees F for about 20 minutes.